Found in the Bay’s shallow waters, often near pilings and jetties. Form schools just below the water’s surface, but have been collected from all depths and bottom types. Juveniles often move into freshwater rivers. Visit the Chesapeake Bay from April or May through late autumn, leaving the Bay in autumn for southern coastal waters. Found throughout the Bay. 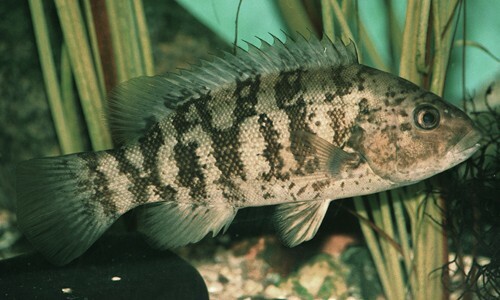 Spot are small, feisty fish with a distinctive large, black spot near the gill opening. They are common from spring through autumn in the shallow waters of the middle and lower Chesapeake Bay. The spot has a bluish-gray body with a brassy white belly and 12 to 15 dark, angled bars across its back. It has a distinctive large, black spot near its gill opening. It has pale fins, a deep notch in its dorsal fin and a forked tail fin. Its high, rounded back slopes down to a small head. Its lower jaw has no teeth. Spot grow to 11 to 12 inches in length. Bottom-feeders, spot prey upon bristle worms, mollusks, crustaceans, and plant and animal detritus. Juveniles eat tiny crustaceans. Larger fish such as bluefish, weakfish and striped bass prey upon spot, as do sharks such as smooth dogfish, sandbar sharks and sand tiger sharks. 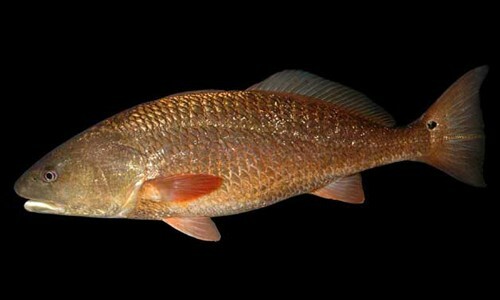 Spawning occurs over the continental shelf from late September through March. 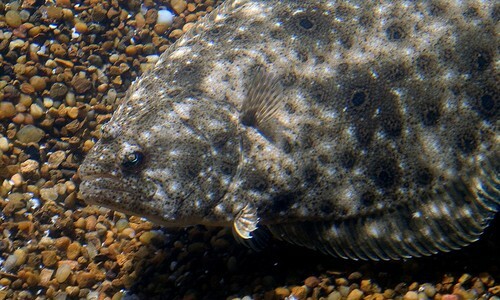 After spawning, adults may stay offshore. Tiny larvae enter the Bay and move to freshwater shallows and tidal creeks, where they stay and grow throughout the summer. Most young leave the Bay by December. Spot mature at two to three years old and can live for five years, but they rarely live longer than three years. Spot are also called Norfolk spot. They are one of the most abundant fish in the Chesapeake Bay. These fish are popular with recreational anglers. The spot is a member of the drum family, which includes weakfish, red drum, black drum, spotted seatrout and Atlantic croaker. All drums are able to make a loud drumming or croaking sound by vibrating their swim bladder using special muscles.